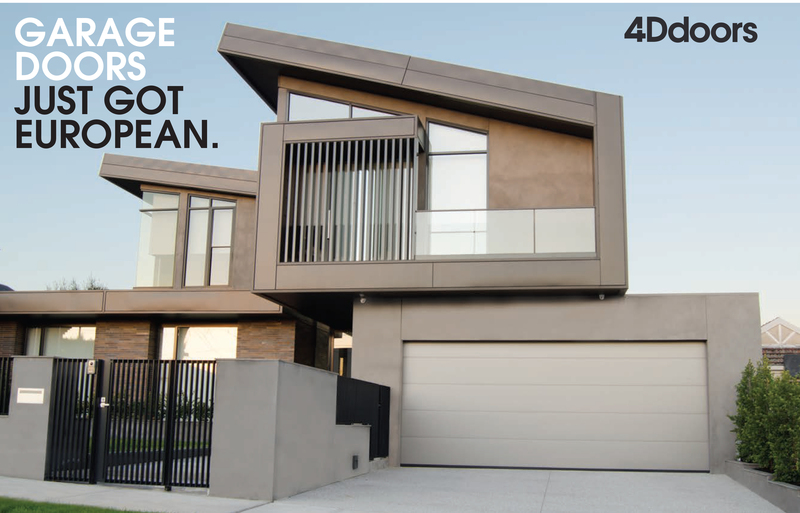 4D Doors Pty Ltd (4D Doors) is committed to providing you with the best possible customer service experience. In your relationship with 4D Doors, you share personal information with us. This information may include your name, address, telephone numbers, email address, bank account details, credit card details, date of birth and other personal details in connection with transactions entered into by you with us. We recognise the importance of your privacy and how important it is for us to protect your personal information. We are committed to protecting all personal information we hold and to complying with all relevant privacy laws in the jurisdictions in which we operate. assist us generally in managing transactions with our customers, suppliers and other contacts with us. postings you make on any blog, forum or website we may operate. The personal information we request is optional, but if you choose not to provide necessary personal information to us, we may not be able to fulfil your request or provide you with the product or service you require. Sometimes, however, there are situations where we are required by law to collect certain personal information from you and, if this is the case, we will inform you of the law that imposes this requirement. Where practical, you may interact with us anonymously. For example providing feedback to us that does not require a response from us. However, in many cases it will not be possible to interact with us anonymously because we need your personal information to be able to provide the products, services or information you are requesting. For example, if you wish to subscribe to an email newsletter then we need an email address for you. There are many aspects of our website which can be viewed without providing personal information, however, for access to future 4D doors customer support features you are required to submit personally identifiable information. This may include but not limited to a unique username and password, or personal information that will be used for verification purposes in the event of a lost password. We will collect personal information directly from you whenever it is reasonable practicable to do so. We may, at times, also collect personal information from other parties such as credit reporting and collection agencies, unrelated third parties as well as from your agents or representatives (such as your legal or financial adviser) and from publicly available sources of information. For each visitor to reach the site, we collect the following non-personally identifiable information including browser type, version and language, operating system, pages viewed while browsing our website, page access times and referring website address. This information is used for the purpose of gauging visitor traffic, trends and delivering personalized content to you while you are at our website. We may keep and file personal information you provide when dealing with us to assist us in providing you with our services and/or information of interest in respect of your business. For example, we may send publications or other information on our products and services to you or follow up on your interest in particular products and services, unless you tell us not to. At times we may retain third parties to process and analyse data we collect on our websites, including your personal information, primarily to help us improve our products and services and our websites. We may also disclose information to affiliates and other third parties necessary to handle customer support enquiries, process your transactions or service your account (including customer freight shipping, our accountants, auditors, lawyers and credit reporting and collection agencies). We may also disclose your personal information in corporate transactions involving the transfer of all or part of our business or its assets or in a corporate restructure. If we do this, we those organisations will be permitted to obtain only the personal information they need to deliver the service and we require them to take reasonable steps to ensure that these organisations protect your information in the same way we do. We may also be required or authorised by law to disclose your personal information. For example, we may disclose your personal information to a court in response to a subpoena or to the relevant Taxation Agency. We may also disclose information to other persons where you have provided your consent to do so and to credit reporting agencies. We take all reasonable steps to protect your personal information from loss, misuse, modification, or unauthorised access and disclosure. These steps confidentiality obligations imposed on our employees and use of security measures for computer system access. We do not, however, accept any responsibility for the unauthorised access or use of personal information held by us. To the fullest extent permitted by law, we disclaim all liability and responsibility for any damages you may suffer due to any loss, unauthorised access, misuse or alteration of your personal information, either during transmission of that information to us or after we receive it. What rights do you have in relation to your personal information that we hold? We take all reasonable steps to ensure that the personal information we collect, use and disclose is accurate, complete and up-to-date. If you become aware of any errors in your personal information or you change your personal details, such as your name, address or bank account details, we ask you to contact us as soon as possible.